Home > Bookie Blog > Book Review: Empty Mansions by Bill Dedman and Paul Clark Newell, Jr. 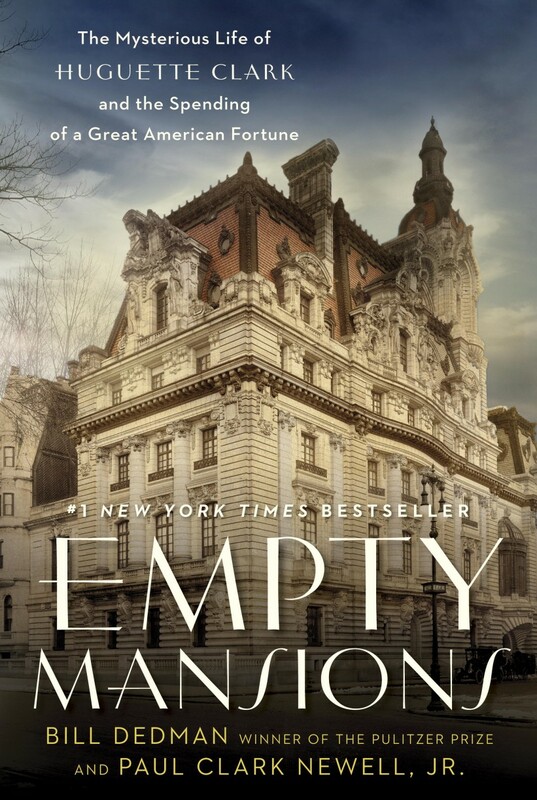 Empty Mansions by Bill Dedman and Paul Clark Newell, Jr. is the true story of Huguette Clark, daughter of copper baron and corrupt Senator W.A. Clark. At the time she died, Clark was one of the richest women in the world. She owned hundreds of millions of dollars in property including mansions in Connecticut and California, as well as apartments in one of the most exclusive buildings in New York. Yet she spent the last 20 years of her life confined to a hospital room, perfectly healthy but unwilling to leave. Clark did not match the common perception of a rich woman. She was extremely reclusive and shy, but generous to those who knew her. She lived to be 105, born in an era where women’s roles were limited, but she was intellectual and a talented painter. It is fascinating to read of her secretive life because it was so different from what the rest of us know. After her death, Clark’s survivors fought over her $300 million fortune. On one side were her estranged relatives; on the other were her lawyers and personal nurse. Clark left two wills, both written after she was 100 years old. The case is not likely to be decided any time soon, given the complexity. Because of this, the book does not provide any sense of resolution. However, Clark is a delightful and interesting character, and it is worthwhile being allowed to peek into her world.